It’s a remarkably simple and effective system. It keeps things running smoothly, and it ensures that you get the information that you’re looking for when you request it. 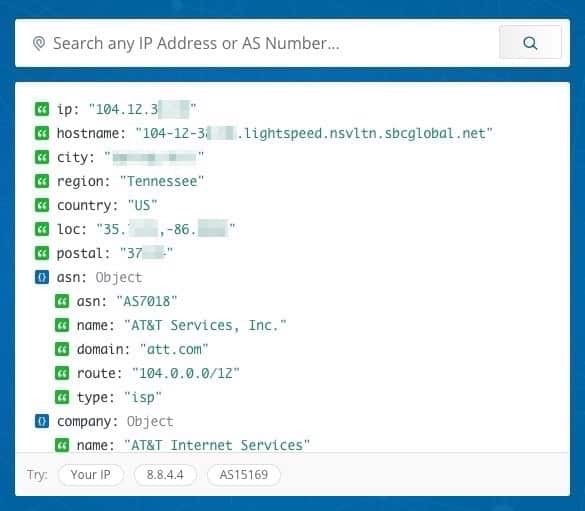 Just as your home is identified by a unique street address, your computer is identified on the Internet by a unique IP address. As you browse online, your IP address makes a request of a website to send it information. The website uses your IP address to know where to send that data. Every other device in the world that is connected to the Internet also has a unique, identifying IP address. While this system is convenient for anyone who wants to use the Internet, it also is convenient for anyone who wants to keep tabs on what you do in the online world. In fact, your IP address is what makes it possible for others to track and record everything you do online. Your IP can even be used to block you from receiving certain content. Cyber criminals and others also may use your IP address to pinpoint your physical location. For this reason and others, it may be sensible to hide your IP address. As you learn more about what an IP address is, how it works and how to hide it, you’ll begin to see why hiding your IP address is essential to protecting your privacy and anonymity online. It’s staggering to consider just how many devices are attached to the Internet. There are the obvious devices such as desktop and laptop computers, but also consider smart phones, tablets, GPS units, gaming consoles, Smart televisions, Roku sticks and even a few major appliances such as refrigerators. What an incredibly confusing place the Internet would be if there wasn’t a coherent method for identifying each unique device. You could request to visit a certain website from your tablet, but if that device does not have an address, how would the website know where to send the data? Accordingly, every Internet-connected device is assigned a unique IP address. The format most commonly used for IP addresses today is called IPv4. The format for each address in IPv4 is x.x.x.x, in which x stands in for any number from 0 to 255. How Does Content Get Delivered to a Specific Address? It is essential that every device that is connected to the Internet be given a unique IP address. If two devices had the same address, then websites would not know which device had actually made the request for data. The Internet Assigned Numbers Authority is responsible for assigning IP address to devices. Frequently referred to as the IANA, this is a division of ICANN, which in addition to assigning IP addresses manages the Domain Name System, autonomous system number allocation, Internet-Protocol related symbols and many other functions. The IANA manages the Regional Internet Registries, or RIRs. Through the registry, every country is given a range of addresses that they may use to identify devices that are connected to the Internet. In fact, an IP address reveals the country in which the device is located. This is what makes it possible for anyone who is interested to figure out where in the world you are while you’re browsing. Most people feel that they use the Internet for innocuous reasons. They want to see how a certain movie is rated on Rotten Tomatoes or check on the hours at the local mall. Maybe they’re just shopping for a pair of shoes or creating an online order for groceries. It seems like pretty dull stuff. Why should you care if other people are able to track you via your IP address? There actually could be several reasons why you should care. Here are just a few of them, that might make you want to disguise your IP address. 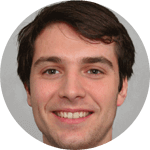 You’re not a criminal in a hideout, but that doesn’t necessarily mean that you want cybercriminals or anyone else to be able to pinpoint your location. They may not be able to knock on your front door using your IP address, but they can still reach you in ways that can feel kind of creepy. As you’re browsing, have you ever noticed really specific, local ads? You might see an advertisement for a used car dealer down the street or the florist that you’ve seen downtown. You haven’t been shopping for a used car or a bouquet, and you can bet any amount of money that those local merchants aren’t paying to have their advertisements broadcast to the world. Instead, these advertisers are using your IP address to reach out to you. Check out the IPInfo website. It automatically tells you everything you need to know about your IP address. In fact, it’s surprisingly and disturbingly detailed. Businesses sign up for this service so that they can target IP addresses in their area. This is why you see so much local advertising and “special offers” that are exclusively for your area. It’s a little disturbing to realize just how much strangers can learn about you. Content blockers can be encountered everywhere. They are extremely common at workplaces and in academic institutions. Even governments use these measures to keep their citizens from viewing certain websites. If you really want freedom online, then hiding your true IP address may be the best way to do this. Companies like Netflix and Hulu that offer highly in-demand services use content blockers to prevent people from accessing programming that is only intended for certain regions around the globe. Gaming servers and music websites also use these blockers. Disguising your IP address by is a great way to get around these restrictions. Distributed Denial of Service attacks are most commonly waged against business and banking websites but they can occur against private users as well. Most often seen in the world of online gaming, these attacks flood the victim’s Internet connection with spurious requests so that legitimate requests can’t get through. Whenever you’re online, someone is peeking over your shoulder. The government, your Internet Service Provider and innumerable others are all paying attention. That includes any number of criminals. In the U.S, your ISP is even permitted to sell your data to third parties with you being none-the-wiser. Furthermore, if you’re afraid about your personal data, you would want to inform yourself about the terrifying Facebook privacy policies. Protect yourself, your computer, your anonymity and your identity by hiding your IP address. You have options when it comes to hiding your IP address. These are the most frequently used, but feature additional security risks. A Virtual Private Network, or VPN, offers a comprehensive list of protections that disguise your IP address and make you anonymous in the online world. All of your online traffic is encrypted through the best VPN available, and you can use any server located around the world for routing your traffic. You may be able to access otherwise blocked content using a good VPN, download bit torrents and prevent third parties from identifying your geographic location. Some VPNs are better than others. It’s wise to read several VPN reviews before making a decision. The most highly recommended services such as NordVPN and ExpressVPN do not keep logs of user activity. This means that your VPN provider is not keeping records of where you go and what you do online. This is a critical component of any VPN. After all, you are using a VPN because you want to protect your anonymity and privacy. The VPN prevents your ISP from knowing that you’re doing online. If your VPN is keeping tabs on you, it defeats the purpose. Be wary of companies that keep any VPN logs of your activity, including when you log in, how long you stay online, what device you use and your name and payment information. Many of the most reputable VPNs allow you to pay for the service using retail gift cards or cryptocurrency. You may not feel the need to go to such extremes, but a VPN is still a really good idea. The encryption of all of your web traffic keeps everyone from the government to criminals from being able to monitor your activity. Plus, you can make it appear as if you are browsing from Los Angeles, California when you’re really sitting in your home in Brisbane. That’s the kind of privacy that no other measures can offer. A proxy server is like a mediator that stands between your device and the web at large. You send your request to the proxy, which passes the request to the website. Then, the data travels back through the proxy server to your device. While a proxy service still gets the job done on a basic level, you’ll get far better protection with a VPN. Proxy servers areadept at hiding your true IP address, and they are affordable. However, they do not provide the encryption that a VPN does. They used to be more widely in service when people had to use dial-up modems to connect to the Internet. The proxy server allowed several people to log on at once. The free service known as The Onion Router sends your web traffic through a vast network of relays located all over the world. Each relay is managed by a volunteer who believes in ensuring the privacy of people everywhere when they go online. Thanks to their assistance, no one is able to keep tabs on your online activities because they can’t discover your actual IP address. While there are a few other good secure browsers available, Tor Browser is known to be the most effective. It does, however, considerably slow your Internet connection. If protecting your privacy is of paramount importance to you, then this it’s a wise precaution to take. 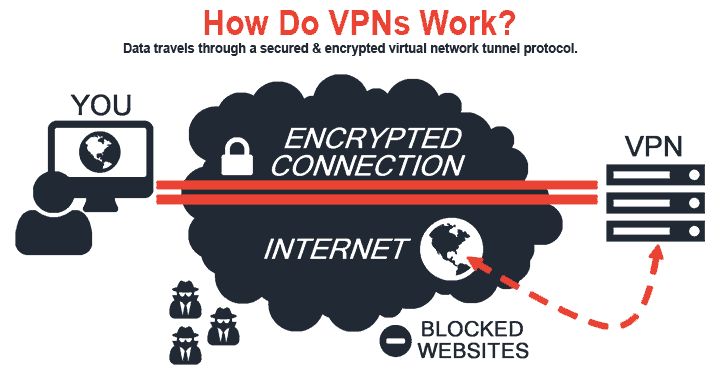 Many VPNs allow you to add TOR service to your connection for an extra layer of encryption. Not generally a safe way to browse, public Wi-Fi lets you connect to a local hotspot. This masks your IP address, but leaves you vulnerable to everyone else who’s using the same hotspot. It’s not the wisest way to protect yourself. If you’re handling any currency online, please don’t do it when using public Wi-Fi. This goes especially for cryptocurrency. Additionally, you might want to learn more about storing crypto safely if you dabble in such matters.